The trend of sleek, cool appliances is beginning to become eclipsed by the draw of warmer, brighter, more colorful kitchen accents. Walk into any appliance showroom and you’re likely to see an all-too familiar wall of stainless steel refrigerators, ranges, dishwashers, and microwaves. Stainless steel appliances have been the go-to choice for several decades, and their popularity remains strong. But homeowners and kitchen designers are feeling more bold nowadays, and are looking for color options beyond silver, such as bright whites, jet blacks, and deep reds, anything to add some drama and excitement to the kitchen. Homeowners hoping to avoid the “wall of stainless” look in their kitchens have a few choices. One is to select appliances with wood panels that blend in with their cabinetry. This is an especially popular route for open-concept kitchens. 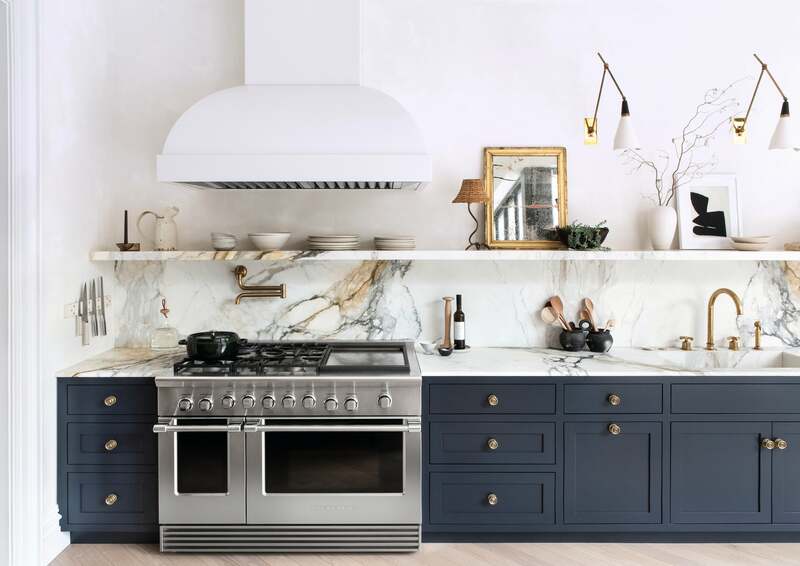 “People don’t want the kitchen, which is now more than ever the main entertaining and high-function part of the home, to always feel like a kitchen,” says Molly Pidgeon, principal of the Malden-based interior design firm House of Dietrich. You can also go in the opposite direction. 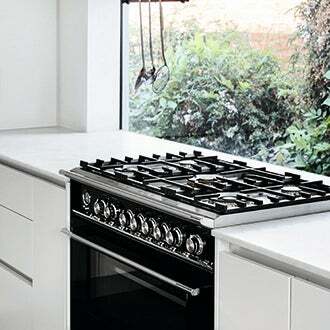 Instead of trying to camouflage your appliances, you can draw attention to them with something like a new brick red oven range coming out from the stylish New Zealand-based design company Fisher & Paykel. Designers sometimes recommend choosing a range in a bold tone or bright color that stands out from the other appliances in the room. “The range is often a focal point, and as designers who love color, we are always open to and excited for that option,” says Mary Maloney, co-founder of Bees Knees Interior Design Studio in Hopkinton. Using bold tones to draw attention to the range feels right for many homeowners. Although today’s families use their kitchens for living, working, and entertaining, food prep, after all, is still the room’s reason for being—so it makes sense to draw all eyes to the range. In the days before modern appliances, families gathered around the fireplace and hearth; in today’s open floor plans, think of the range as a home’s metaphorical gathering place. If you need a new appliance but aren’t redoing the entire kitchen, it’s fine to choose a non-stainless tone, as long as it fits your kitchen’s design. For example, a black, white, or red range can look gorgeous in a kitchen with otherwise-stainless appliances. 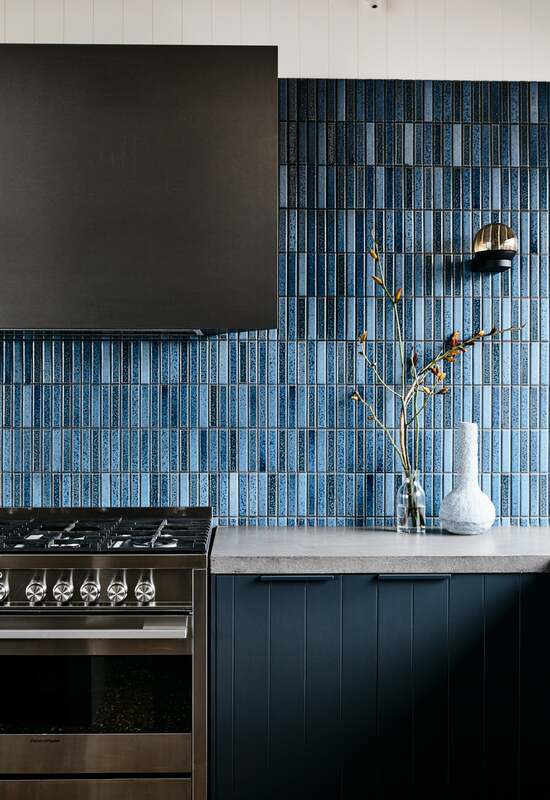 “You just need to make sure the range color will work with the existing cabinet colors, backsplash, counter, appliance, and flooring,” Maloney says. To bring bold new Fisher & Paykel appliances into your kitchen, find gas ranges available starting April 1. Look out for electric and dual fuel models starting August, with induction models available in October. 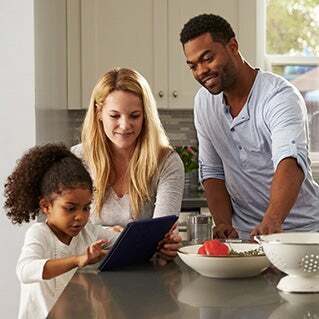 Learn more at fisherpaykel.com. The most innovative kitchen appliances are coming from … New Zealand? At Fisher & Paykel, observing what ordinary people do in their kitchens guides designers in how they build their award-winning appliances. Kitchens are more than the place to cook. Appliances like drawer-style dishwashers lend ingenuity and modern style. 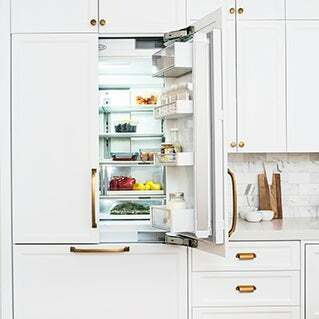 Check this map to see where you can shop Fisher and Paykel's full line of appliances in-store.